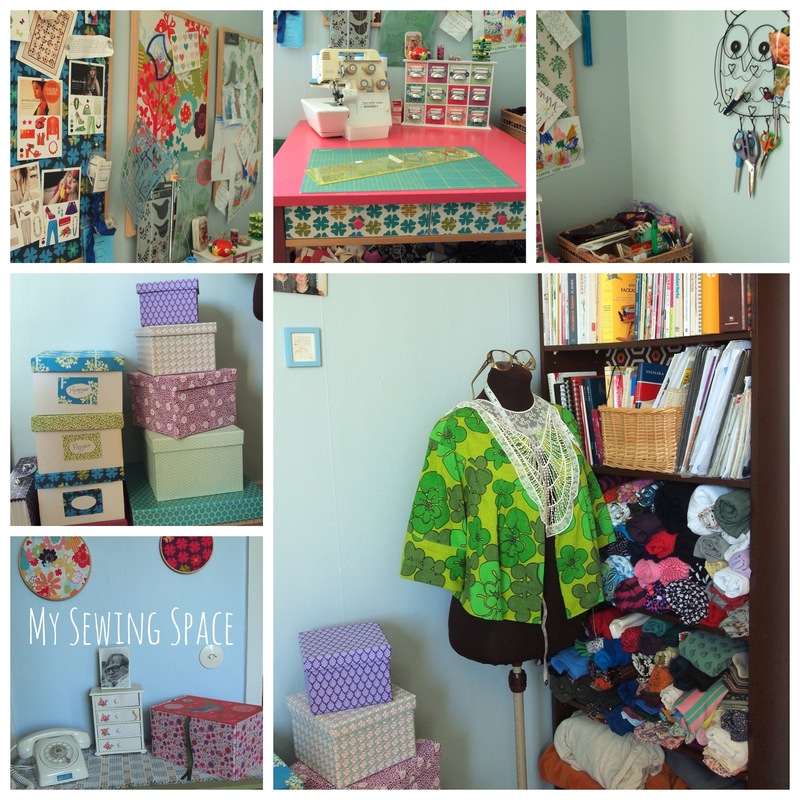 In June we moved from a three bedroom apartment to a two bedroom and I lost my own sewing room. With a little creativity and decoration it is no problem to now share the room with my boyfriend. 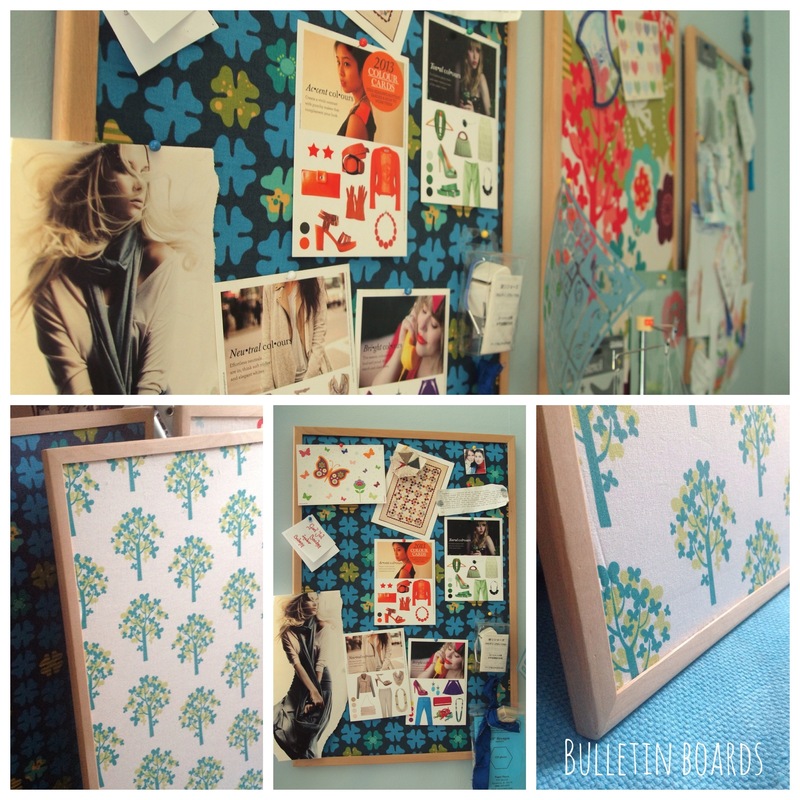 These are bulletin boards from IKEA that I have added fabric to. The fabric is “Just Wing It” by Momo for Moda Fabrics that I bought from my mothers Quilt Shop. I used it everywhere in my old sewing room and I have a Quilt top finished in the series that I need to assemble (maybe someday..) I use these bulletin boards to put up inspirational pictures, sewing patches and other small things that easily get lost. My lovely Bernette Serger, makes life easier (and harder with all the threads). 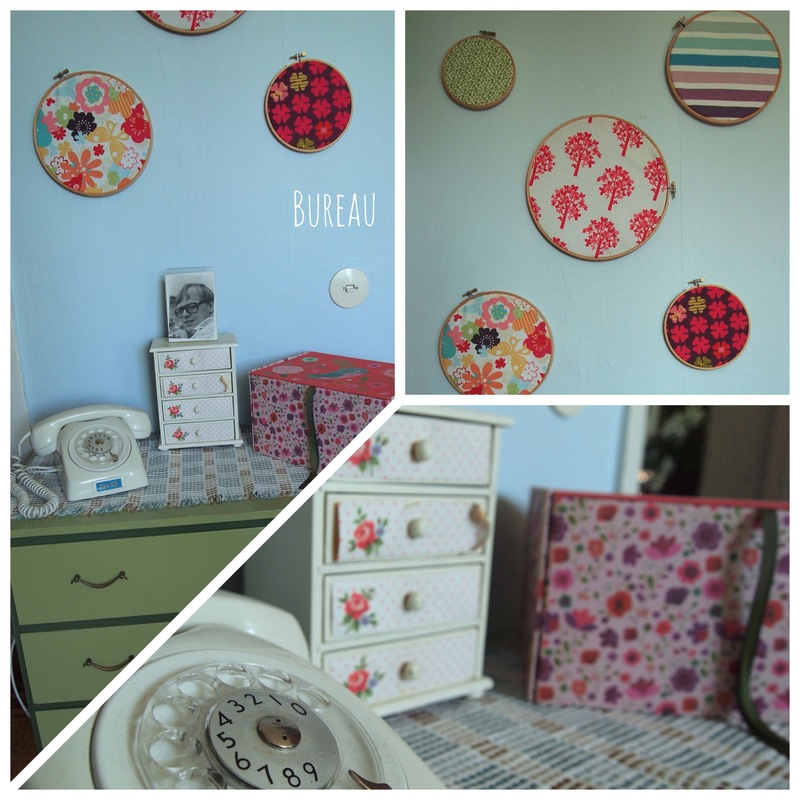 The desk is an old kitchen table from IKEA that I painted two shades of pink and glued on fabric to the drawers. The little bureau on top of the desk is from Åhlens, I redesigned it with paper from Udda Tina, my new favorite store in Malmö. 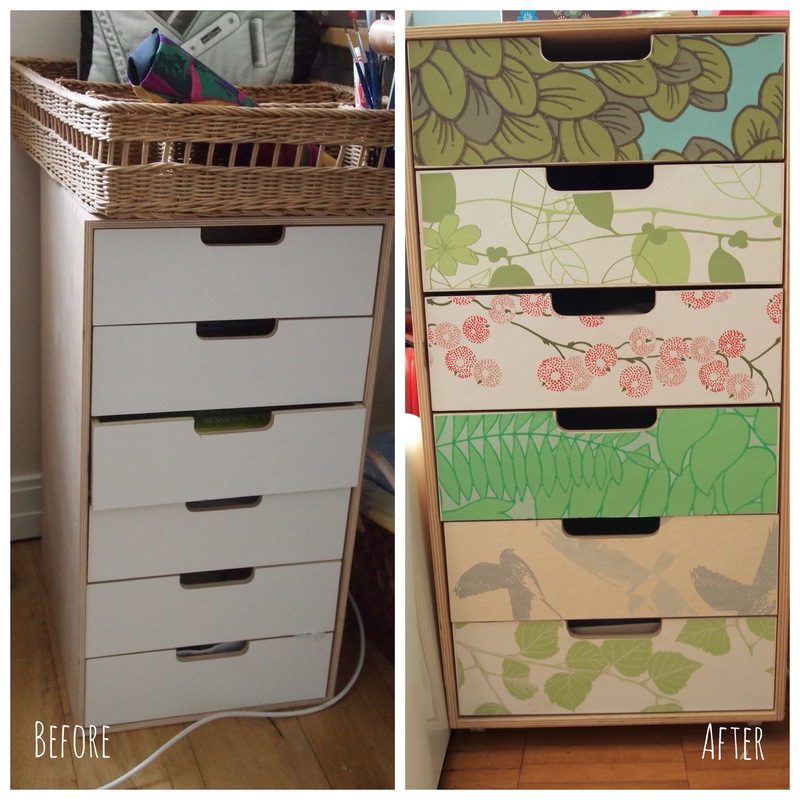 These seperate desk drawers on wheels are also from IKEA and I glued on wallpaper samples to make it more unique. 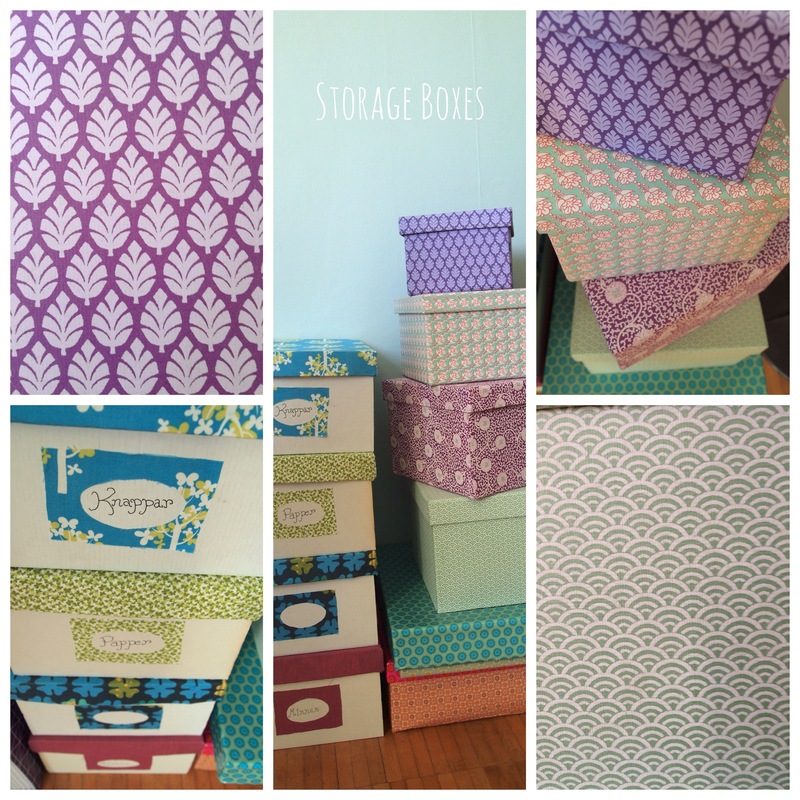 I love organizing my things in pretty boxes. The ones on the right are also from Udda Tina. The ones on the left are from IKEA, I turned them inside out (they were dark and patterned on the outside) and added fabric to the lid and as a label. 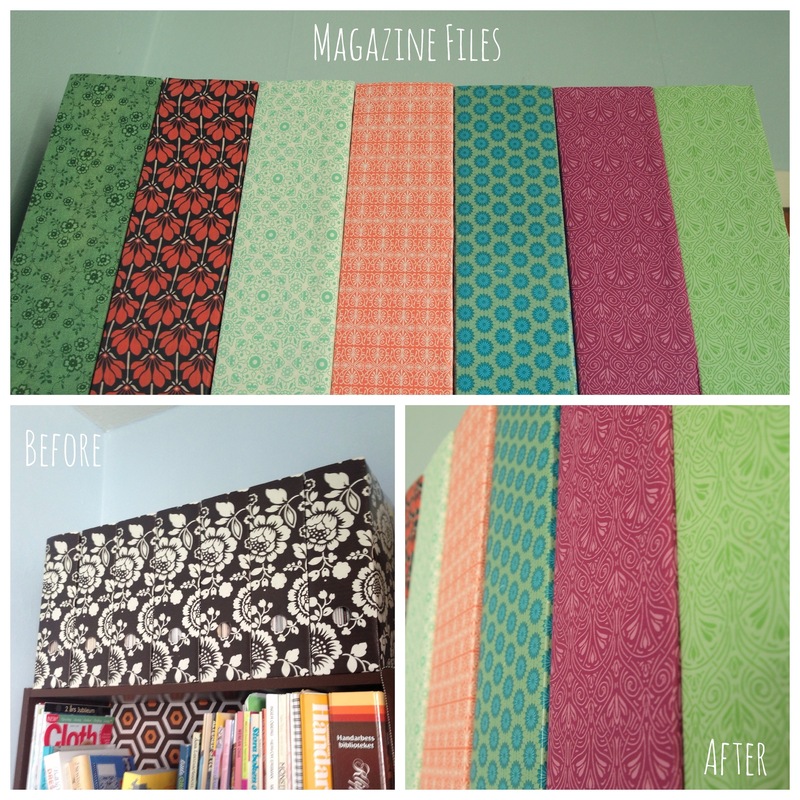 These hold all of my sewing magazines. They are also from Ikea and I added paper from Udda Tina, gift wrap and fabric to them. My boyfriend redesigned this old bookshelf before we moved in together. He painted it brown and added fabric to the back. 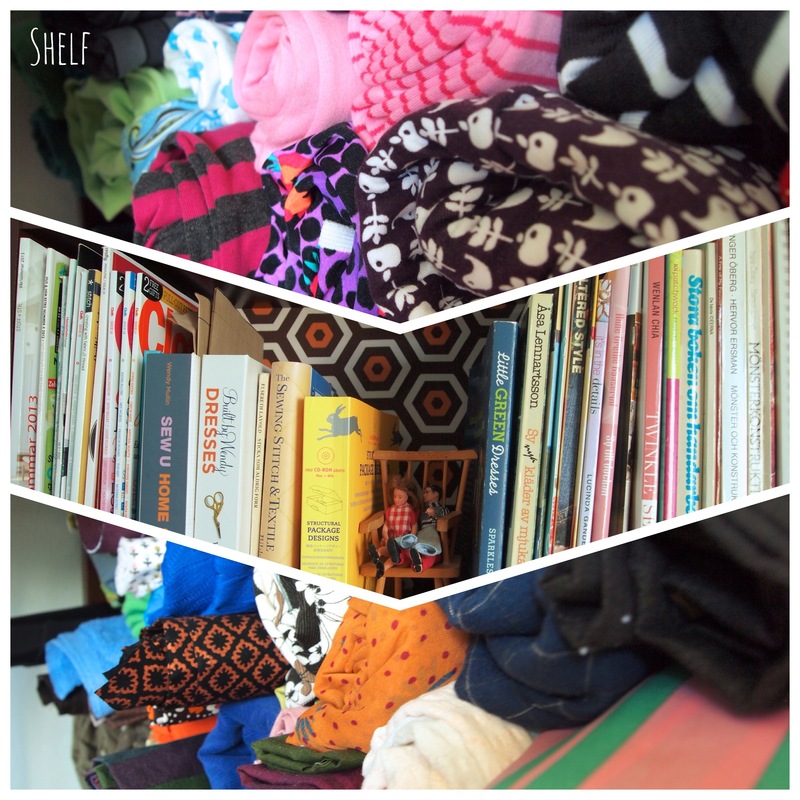 He was planning on throwing it out when we moved but I said “NO!”, it’s perfect for keeping my books and fabrics. I like keeping fabric rolled up like this since you get a better overview and it decreases the amount of creases. It also adds a bit of sewing shop feel. I got this lovely green bureau from a friend. On top of it I keep my old phone, a miniature bureau my dad made for me when I was a kid, and a fabric covered box I found in a childrens store in Copenhagen. Above on the wall I put more “Just Wing It” fabric into hand sewing hoops. Categories: LyllosMig | Tags: home decor, Sewing room, storage | Permalink. 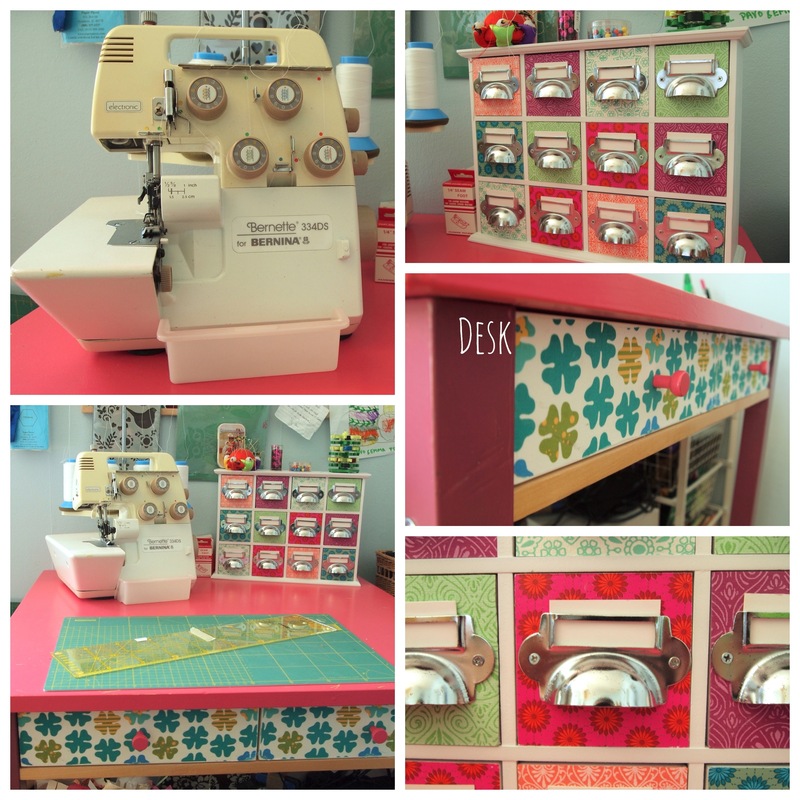 Your new sewingroom is absolutly FABOULUS! You are so clever and creative. The pictures are also fantastic. I want to have a room like that…..